As the postponement of Baahubali audio launch event came in as a huge disappointment to all the movie lovers, the decision should be welcomed by every Tollywood follower. On numerous occasions in the past, many fatal incidents took place due to the stampede during the audio launch events and other movie functions. The most recent incident happened during NTR Baadshah audio launch function where a die-hard fan of NTR succumbed to death. Citing security issues, the makers of Baahubali have postponed the event and the director and producer have made it clear that fans safety is the top priority for them. 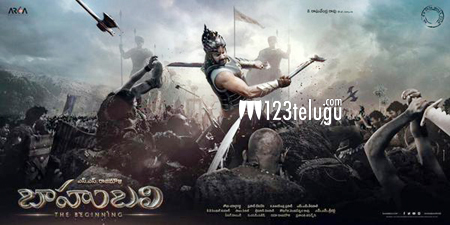 This move by Baahubali team should be a perfect thing as far as the situations are concerned. Given the magnitude of the expectations carried by Baahubali, it is learnt that around 25,000 fans are expected to pour into to the grand event. So, it is not an easy task to get clearance from police authorities and ensure thorough safety for such a huge number. Instead of going by their word and to bear any serious consequences, Baahubali makers have decided to extend the date and make necessary arrangements for the smooth happening of the event. This decision is welcomed by everyone and wait continues for this magnum opus.